NEW YORK, September 7, 2010 – Shoot-outs, robberies, gas-huffing, drug dealing, pill popping, and tap dancing — what do these all have in common? The White Family. 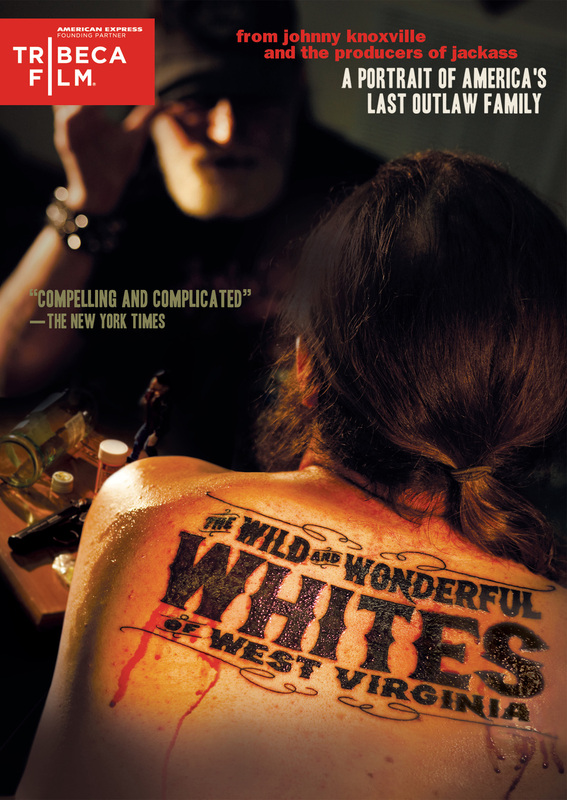 A documentary portrait like no other, The Wild and Wonderful Whites of West Virginia is blazing a trail to DVD on October 26 from Tribeca Film and distributed by New Video. From executive producers Johnny Knoxville and Jeff Tremaine (Jackass) comes a shocking, up-close look at Boone County, West Virginia’s most notorious and surly family. Director Julien Nitzberg spends a year with multiple generations of the White family in this outlandish story, which features the family’s high-stepping muse, Jesco White (star of the cult classic documentary Dancing Outlaw). The film also features Hank Williams III. The single disc comes packed with hours of no-holds-barred bonus features, including making-ofs, interviews with director Julien Nitzberg and producer Johnny Knoxville and behind-the-scenes featurettes. on demand in 40 million U.S. homes simultaneously with their Festival screenings through relationships with leading telecom, cable and satellite providers. New Video is a leading independent privately-held distributor bringing you quality entertainment via DVD, Blu-ray, download and streaming platforms and cable VOD. We are the proud home to some of the most prestigious names in the industry like A&E®, HISTORY™, Lifetime®, Major League Baseball®, Scholastic Storybook Treasures™, Arthouse Films and Tribeca Film as well as our own lines Docurama Films®, and the newly launched Flatiron Film Company®. Since 1991, our mission has been to unearth first-rate content and deliver them to audiences through traditional platforms and evolving new media. We selectively handpick our library while collaborating directly with our brand partners and filmmakers to cultivate a superior product and fresh new viewing experiences for our audiences. We are headquartered in New York City, but have an international presence in 45 territories.